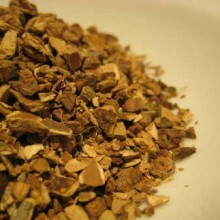 View Cart “Butcher’s Broom Powder – Ruscus aculeatus” has been added to your basket. 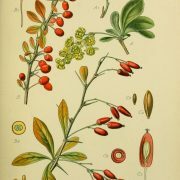 Categories: Berries And Fruit, Products Beginning with "B". 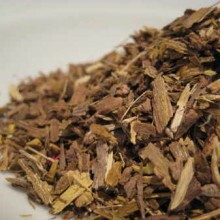 Tags: bark, berberine, dye, herbs, medicinal, root, traditional. 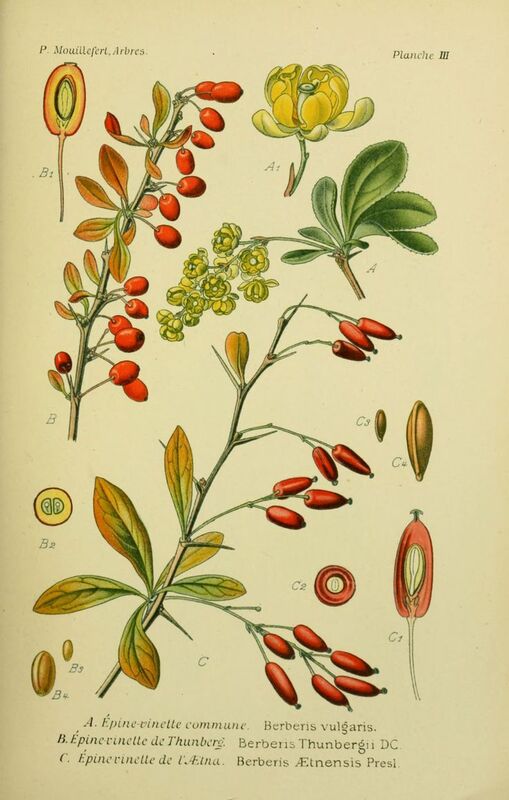 Barberry (Berberis vulgaris) and most often referred to as Barberry but also known as Pepperidge, Sowberry, Kingor, Daruhaldi, Daraharidra and Jaundice Berry is a genus of about 450-500 species of deciduous and evergreen shrubs from 1-5 m tall with thorny shoots, native to the temperate and subtropical regions of Europe, Asia, Africa, North America and South America. They are closely related to the genus Mahonia, which is included within Berberis by some botanists. 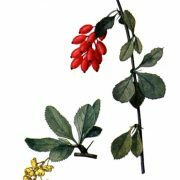 The chemical constituents include isoquinolone alkaloids, especially berberine. 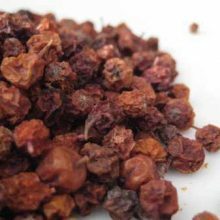 Barberry Berries are a very rich natural source of Berberine. 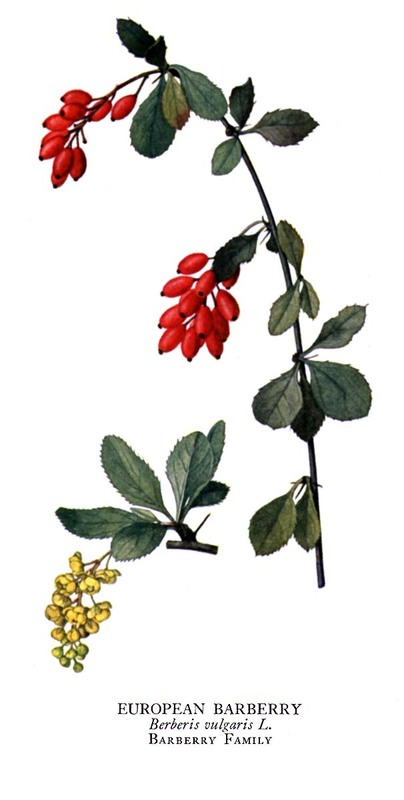 Berberine is a bright yellow and somewhat bitter substance, and has long been used in traditional medicine for its anti-inflammatory and anti-microbial effects. 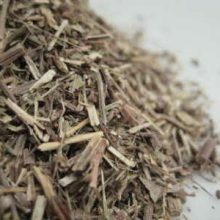 This well known antiseptic photochemical, also found in goldenseal and Oregon grape, is used to treat a wide range of infections of the ears, eyes, mouth, throat, staph and strep bacteria, each of which can commonly cause bacterial pinkeye (conjunctivitis). 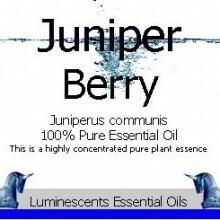 In fact, the pharmaceutical product, Murine eye drops, contain berberine as the active ingredient. 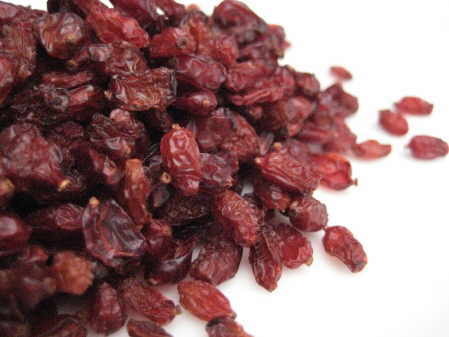 The plant produces large crops of edible berries which are vitamin C rich but have a very sharp acidic flavour. 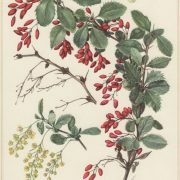 In Europe for many centuries the berries were used for culinary purposes in ways comparable to how citrus peel might be used. Today in Europe they are very infrequently used. The country in which they are used for culinary purposes is Iran where they are referred to as “Zereshk” (زرشک) in Persian. The berries are common in Iranian (Persian) cuisine such as in rice pilafs (known as “Zereshk Polo”) and as a flavouring for poultry meat. Due to their inherent sour flavor, they are sometimes cooked with sugar before being added to Persian rice. 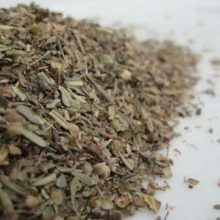 Iranian markets sell Zereshk dried. 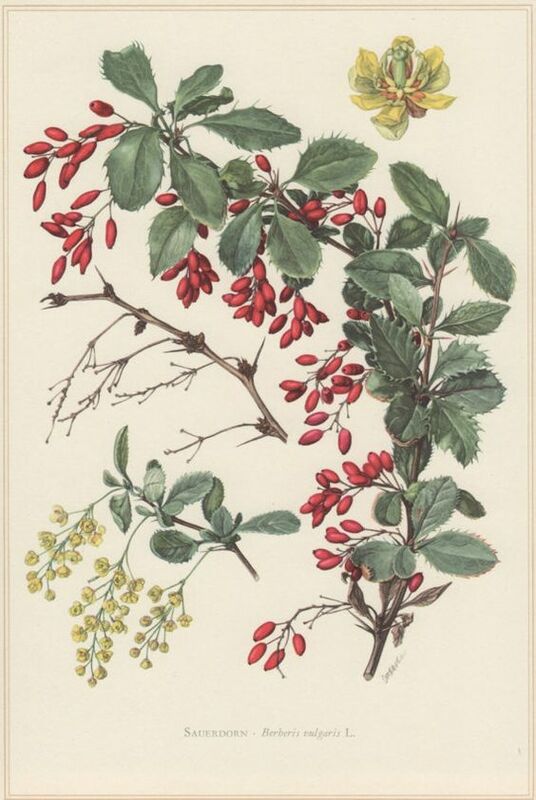 In Russia they are sometimes used in jams (especially the mixed berry ones) and extract from them is a common flavouring for soft drinks and candies/sweets. 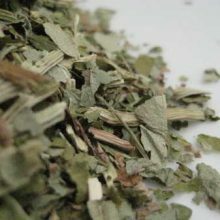 Single Herbal Infusions, Products Beginning With "V"
Ayurvedic Herbal, Products Beginning With "P"